I would like to share this page with all of you, as a way of bringing my experiences in the International Opera world, closer to you. Browsing through it, you will accompany me along the way and at the same time share thoughts, exchange ideas and have a more personal and direct contact. 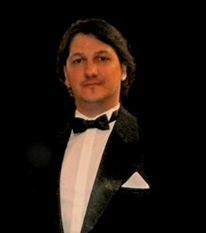 We are pleased to be able to interview the Uruguayan tenor Juan Carlos Valls, who has a great operatic career in Latin America, Europe and the United States. 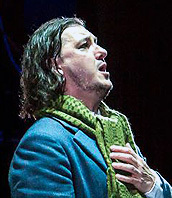 With over twenty roles he has taken his singing all over the world to countries such as Italy, France, Poland, England, Switzerland, Mexico, United States, Israel, and Bulgaria where he had the pleasure of working with opera greats such as Katia Ricciarelli, José Cura, Vincenzo Scalera, Luigi Alva, Alberto Zedda, Emilio Sagi, Roberto Serville among others. Juan Carlos, you already have many years in the career, ¿what´s your best memory from your professional period as a singer? Well, actually they are not so many years, although they have been very intense. I have only been a professional lyric singer for about 10 years, which is not a short period but it´s not so long either. Many people believe that I have been in this profession for a longer period. The truth is that I have sung in so many places which I never imagined possible, such as the countries mentioned above and several more such as Spain, Greece, Austria, Puerto Rico, Guatemala, El Salvador. It is very difficult to say what my best memory is, because there are so many, but if I had to say something it would be, without doubt, the affection and recognition of the audiences where I have always felt welcomed and valued on each stage which I stepped on. I think that remembering this as one of the most beautiful things is no small thing, because one sings for the audience and thus it´s definitely to them that we transmit emotion and all that a character demands from us, and thus that is part of my best memories. As you have had the pleasure of singing in all of our continent´s major theatres, I think that you are best placed to give us an opinion about the Opera in Latin America. 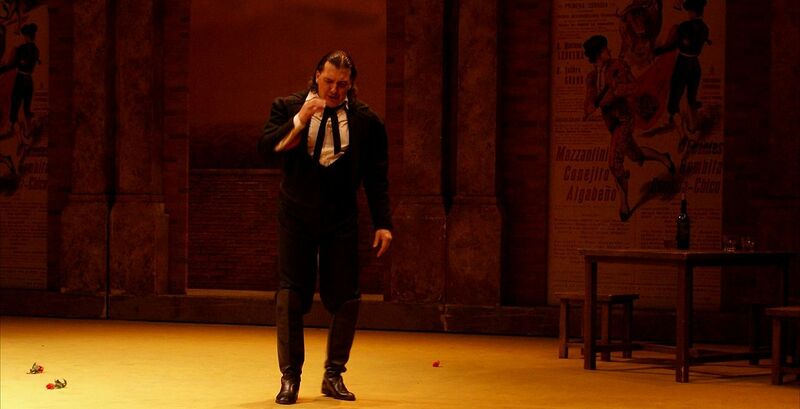 How do you see opera in Latin America? I honestly believe that today, and with the crisis that exists in Europe, the opera is blossoming in Latin America, there´s a lot more activity and it´s getting more attention from other parts of the world, but I still keep noticing that the opera seasons are usually very short with very few titles. Obviously this is because it is still very expensive to conduct a season with seven or eight operas per year, with the exception of the largest theatres that can manage it. At the same time I must say, and I say it as a Latin-American, that I believe that in Latin America they still bet much more on non Latin-American singers and I think that they should give more participation to the singers of our continent, at least in a much more marked and sustained manner. ¿Why did you become an opera singer? ¿Do you have opera background in your family? I began to study singing without thinking about opera. In fact I actually had to start studying singing at what was then called the SCHOOL OF OPERA, now known as the NATIONAL LYRIC ART SCHOOL, but I always thought that I had to polish my voice. What I never imagined was that my voice was fit to sing opera but when I really started studying I discovered that my voice was best suited for it and slowly it emerged that that would be its destiny. As for the singing history in my family, I must mention that my father was a tenor, and I always say that he had an imposing voice, not only was it powerful, but it also had great beauty as far as colour and tone was concerned. Unfortunately he was not able to form a career because those were hard times and he had a family to support. My parents had 2 children and just when they thought they wouldn´t have any more, my twin brother and I were born making a total of 4 siblings, so obviously it was all very difficult for him, although he did manage to sing in some concerts and the odd production such as Lucia di Lammermoor where he sang the role of Arturo. I have a wonderful memory of him singing and he certainly influenced me to follow in his footsteps. After that my father became my number one supporter until his death four years ago. You have an unusual tenor´s tessitura, so why do you think that you are not recruited for roles in which you can show that gift? 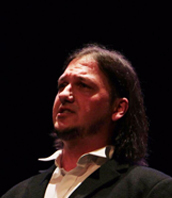 to promote me to sing a role such as M.Cavaradossi in Tosca and at the same time the role of Arturo in I Puritani, which is understandable but at the same time it seems odd because I am not the only one who manages to do so, something which would be unthinkable. There have been many tenors throughout history that managed both roles because their voices and technique such as in my case, allowed them to do so. Maybe it is not frequent but without going too far, and obviously not wanting to compare myself with Maestro Pavarotti, he, amongst many others, was a similar case to mine and thus was able to sing a diversity of roles and styles. There was also the great N. Gedda who was exactly the same.